« Crop circle conundrum – Mysterious Wiltshire. Not since 1996, when England hosted the European Championships, has the country held a major sporting event. 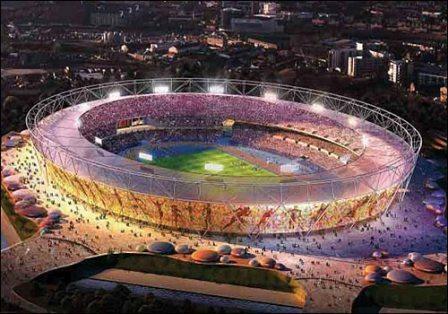 In 2012 that is set to change as London becomes the venue for the Olympic Games. Having hosted the Summer Olympics twice previously – in 1908 and 1948 – the English capital certainly has history with the event, but even still there are surprises abound with improvements needed to stadiums, transport and accommodation. With around seven million permanent residents, it’s hard to imagine how the city’s infrastructure will cope with the extra influx of athletes and sports fans that will be descending on the city from the end of July – traditionally a busy tourist season in any year. The International Olympic Committee has been thinking about this since 2005 – when the games were awarded to London – so big changes are expected in the city. The world famous underground has seen changes, with an expansion made to the East London Line and upgrades have been made to the North London Line and the Docklands Light Railway as well. On top of this a brand new rail service has been created – named in Olympic fashion as the Javelin – which features bullet trains that will speedily take passengers across the city. There are expected to be around eight million tickets for the Olympics available, with half of them priced under £20 to ensure bustling crowds at all events. This means all visitors – from those in top range hotels to those in budget hotels in London – will be able to snap up tickets for at least part of the extravaganza. Sensibly, accommodation for the Olympians will be spread across the city to ensure all competitors are housed close to where they need to be to compete, rather than in an all encompassing Olympic Village as per tradition, but a tradition that has become outdated as the games have grown and the events no longer all take place in one place. The events will be taking place in a mixture of old venues that the city is known for – such as Wembley, Lord’s and the O2 Arena – as well as specially constructed arenas. As well as new sporting venues, the city will see other new buildings going up. The Shard, for example, is due to be finished in May 2012 and standing at 1017 feet it is sure to be a major sight on the London skyline. London is the most expensive place to stay in Europe, according to a recent survey, and that news has emerged at the same time as tourism minister Margaret Hodge has warned that hotels in the capital must shape up in order to be ready for the 2012 Olympics. The average cost of staying in a London hotel has leapt by a staggering 12% since April, and now averages £119 per night across the capital. Although not as expensive as New York or the world’s most expensive place for a one-night stay, Moscow, the rates are remarkably high considering that two-thirds of all London hotels are unrated. The figures show that even relatively meagre two-star accommodation in London averages £88 per night and guests have to typically stump up £109 to stay in three-star rated hotels. But, the government doesn’t expect the capital’s hotels to do it all by themselves. A recently unveiled multi-agency strategy entitled: “Winning – A Tourism Strategy for 2012 and Beyond” has been drawn up by the Department for Culture, Media and Sport aided by Visit Britain, Visit London, and an assortment of Regional Development Agencies, aiming to give positive advice and limited financial assistance to the hotel industry throughout London and the UK.